Although the tourist category is the route most taken, it is, let’s say, “frowned upon” by the DNM (Dirección Nacional de Migraciones) as a long-term solution (according to one of my UBA professors, who happens to be one of the Directors at the Dirección Nacional de Migraciones). Also, technically you are not allowed to work in Argentina under this category, and at least in my research, I found that the overwhelming majority of the “tourists” are working in Argentina. UPDATE 2014!! They are starting to turn away “tourists” that have been living long-term in Argentina. There have only been a couple cases reported in the last year (two that I’m aware of) but unfortunately it is a real possibility….check out what this “rechazo de ingreso” notice looks like and what you can do here. Those issues aside, Argentina actually doesn’t see this type of immigration (Americans) as a “problem” (the exact word used by my aforementioned professor), and in general Argentina’s immigration policies are quite “open”, so booting Americans out of the country is definitely not a national priority nor anything we should worry about. I have been living in Buenos Aires for 5+ years now and have NEVER heard of an American being deported or officially banned from the country for overstaying their tourist visa. Most of the Americans I interviewed that have been living in the country for years this way have faced minimal problems (aside from the occasional rude immigration officer). Despite their “tourist” status, according to my research, most of these Americans would like to have residency as they feel it would improve their quality of life and standard of living in Buenos Aires. Unfortunately, because most of them work “under the table” or remotely, their options are limited. Can I become a “TEMPORARY RESIDENT”? You may apply for temporary residency under one of the following categories, which are listed below along with the specific documentation that you’ll need to provide. Proof of the origin of the funds you’ll support yourself on and their legal entry into the country (through a bank or financial institution). The minimum required amount is $8000 (eight thousand) pesos per month, but they may expect more if you have dependents. Certificate issued by an international government or organization that certifies that you receive a pension or retirement on a regular and permanent basis, as well as the amount and duration of said benefits. 1) Investment Project proposal (must be a productive, commercial or services investment of interest to the country), 2) proof of the origin and legality of the funds and their entry into the country (through a bank or financial institution) authorized by the Argentine Republic Central Bank. The minimum investment amount is 1.5 million pesos. FYI: the Ministry of Industry and Tourism will analyze the nature of the investment, legal feasibility, and economic sustainability before making a decision to approve or reject the project. Letter of Introduction from the worship enabled agent, certified by the Secretary of Worship, under the Ministry of Foreign Affairs on International Trade and Worship. This letter should specify the function or activity to be done in Argentina, address where the task will take place and whether the organization will be in charge of room and board. Medical history stating treatment to be received by the health institution in Argentina, signed by the appropriate person (Director of the Institution if it is a public hospital, or if it’s a private institution, signed by the private physician and certified by the Argentine Health Ministry). Electronic registration certificate (“constancia de inscripción”) from the academic institution. Certificate from the National Commission for Refugees attesting to your refugee status OR certificate issued by the organization giving asylum. This special category is for people: in need of international protection, that would be subject to violations of human rights if they returned to their home country, who have been the victims of human trafficking, those with health issues that could die if they returned to their home country due to lack of medical treatment, or stateless persons. Can I become a “PERMANENT RESIDENT”? UPDATE 2015!! As of October 2015 domestic partners (of an Argentine citizen or permanent resident) are elegible for permanent residency through the “union convivencial” category. IF YOU DO QUALIFY FOR ONE OF THESE CATEGORIES AND WANT TO APPLY FOR RESIDENCY, CHECK OUT MY DETAILED GUIDE HERE: How to get residency in Argentina. 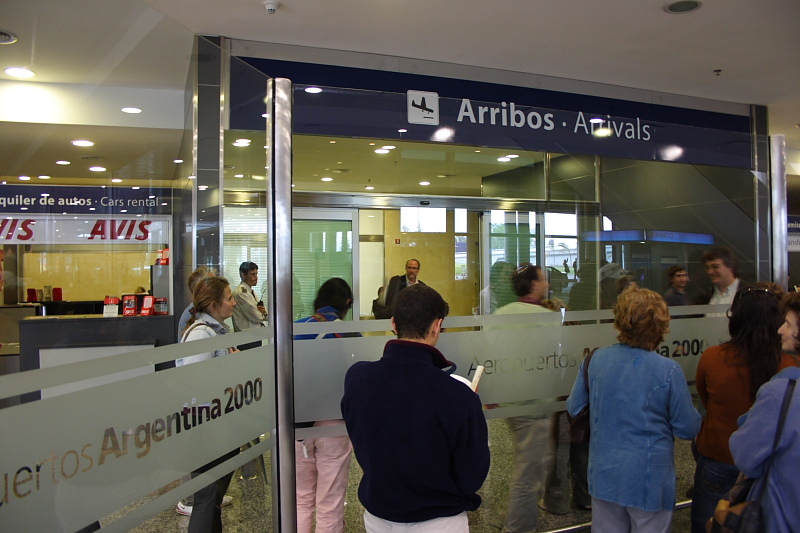 This entry was posted in Expats in Buenos Aires, Immigration, Living in Buenos Aires, Residency in Argentina, Tourist visa in Argentina, Visas and Residency in Argentina and tagged expired tourist visa Argentina, overstayed tourist visa Argentina, tourist visa Argentina, visas Argentina by Emily Miller. Bookmark the permalink.